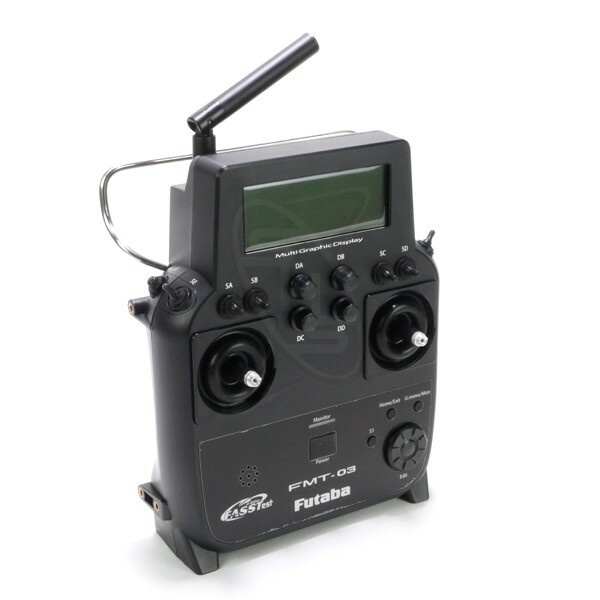 FMT - 03 is an 18 - channel controller developed for drone. This machine is assumed to be used in bad weather, it is designed with waterproofing and dustproofness taken into account, and it realizes the IP64 standard. On the back case are commercially available tripods for cameras that are popular with FMT - 01 and 1/4 inch nuts and M4 nuts (x 4) compatible with the VESA standard (VESA 100), which can also be installed.